Etsy is an ever-growing site dedicated to bringing handcrafted and vintage treasures to consumers. I've purchased several different times and am always pleased with both the quality and uniqueness of the items. That's why I am super excited to announce my latest giveaway, courtesy of Etsy shop, Ardent Reverie! The shop, owned by Meghan and Melanie, first caught my eye last week when I saw their Northern Lights Headband (pictured below). My sister, Meghan, and I opened our Ardent Reverie shop on October 2009. We've always been the crafty type every since we were young but on a whim we wanted to share our work and see how we would do among the handcrafting community. We get inspiration from anything and everything. Sometimes we'll hear a song and it'll trigger something in us, or we'll be on a trip and fall in love with the vibe of that place and create something to bring out its aesthetics. Just recently my sister saw a dress on a celebrity and loved the colors and used that to create a hair piece. I feel that accessories are vital to a woman's wardrobe. It's that finisher that pulls an outfit together, I often throw on whatever clothing I can find, and while the outfit may be drab, when I add the right accessories it actually looks like I took time to think and plan my outfit. 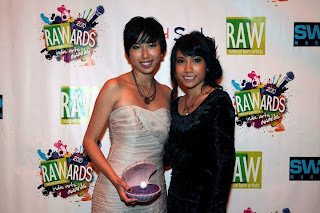 My sister and I recently won best accessories artist of the year at the RAWards (indie artist award show). Part of our winnings was a one month consignment at Fred Segal in Santa Monica, so customers should keep an eye out for that. Here's your chance to own an Ardent Reverie piece. One lucky reader will win a Cable Knit Beanie in their color of choice. It's the perfect winter accessory! Mandatory entry: become a Google Friend Connect follower of Join the Gossip AND visit Ardent Reverie and select the beanie color you'd choose if you won. great looking shop. 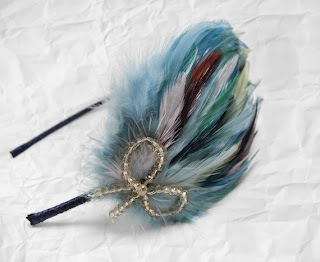 i adore all of the feather headbands and clips sooooooo CUTE!! I would LOVE the heather grey one!! and follow them on twitter.. I'm a follower, and I choose it in black! And I just became a fan of yours on Facebook! What a great giveaway! I am a follower of course! LOVE the plum color (my fav) but I also could see myself in the Navy =) I have always been a GFC follower. You rock! What a great beanie! I'd choose the navy blue. Awesome giveaway! Oh my gosh, Leeann - how could there be so much perfection in just one post? This shop is absolutely wonderful, and I LOVED reading the interview with Melanie! These two ladies have so much talent. Okay, so I was so anti-beanies for so long - mostly because I was really jealous because I didn't think that I could pull them off at all since I am 0% a hat person. Upon further inspection, I found that while I'm not a hat person, I AM a beanie person! Great giveaway, love! (P.S. My dad used his email on my computer, so I was signed into his Gmail account before - whoops!). i love the grey beanie! Awesome--what a great find! You know what, I think I'd pick plum if I won! My hair is blonde so I think darker colors look better as contrast. But I already have too much black! I don't have a knit hat but I think it would be perfect for San Francisco weather. Crossing my fingers! I went to the etsy site and I love this shop (I favorited it)! I don't know which thing I like the most cause they're all so pretty . 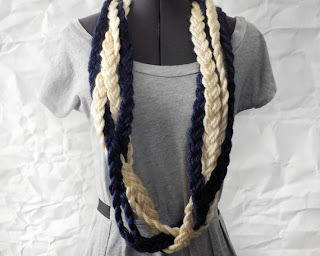 . . maybe the braided bunch necklace? Or the red velvet infinity scarf? Or the plum beanie! wow, she has awesome stuff, and super affordable. very talented! It's like Anthropologie but way better. :) I'd go for it it in heather gray. lovely! i'm a follower of your blog, and i want that beanie in heather gray! And, tweeted about this fab contest! Also, LOVE the brick red chunky cowl. 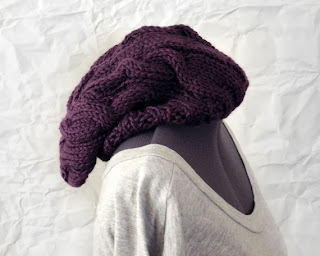 Have been dying for a super chunky cowl/scarf, which is kinda funny since I live in Florida and it's 80 degrees. Lastly, I now follow Ardent Reverie on Twitter. I look TERRIBLE in hats so I won't enter but this shop is so cute! I'd have to go with the plum, but the red is my second fave. Great stuff! Thanks for the invite to the giveaway Leeann! I could def ship to my US address if I were to win this awesome prize. I am already an addicted google follower of your blog and would love the cute beenie in the peach color. Thanks love! Great shop that you have featured here and I completely agree with Melanie’s answer on accessorizing. That is exactly how I am. That is so cool that they won an award and their work is going to be featured at Fred Segal (every time I hear the store Fred Segal I think of Clueless…random). 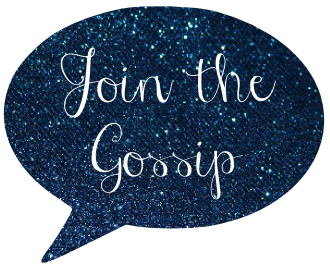 I am already a fan of Join The Gossip on Facebook. Their Etsy shop is REALLY cute. I love the Darlingly Spiffy Necklace and all of their infinity scarves. I would totes get the navy blue one! Gorgeous pieces and interview, darling! great post & giveway for 2011!! Well, I'm already a follower through google friend connect and I would choose a beanie in either forest green or plum! Both lovely rich shades! What a fabulous etsy shop too! I'm following them on twitter now! After looking through their whole etsy shop, my favorite thing is probably their Dapper Infinity Scarf! Although, they have so many cute things to choose from! And I liked your page as well on facebook! These beanies are adorable! I actually love the plum color! Have a great weekend doll! That rope necklace is so cute...and the headbands...Adorable! Love that headband. I have never been able to pull off a headband like that but I still love it! ummm wow!!! adore that feather headband!! okay i'm back - I fanned and "liked" Ardent on Facebook, and my favorite product is their Northern Lights Headband and for the beanie, i have to say i like the purple one the best. also going to tweet - gosh you are going to have a lot from all of us to count up! ;) thanks for a fun giveaway. AWESOME! I'm a GFC follower and I love the denim blue color!! Great giveaway!! I would what it in black because it would go great with most of my coats!